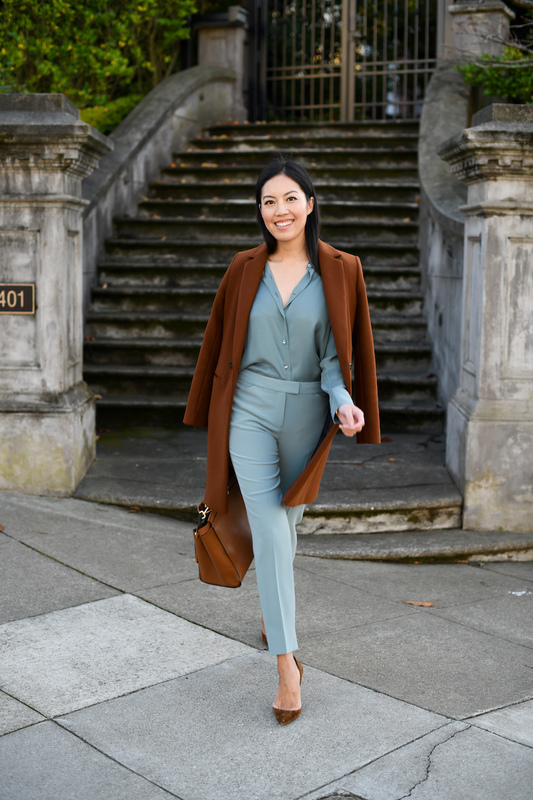 An unconventional color pairing for me – but loving it! This chestnut brown is definitely my favorite color of the season and it goes with everything. 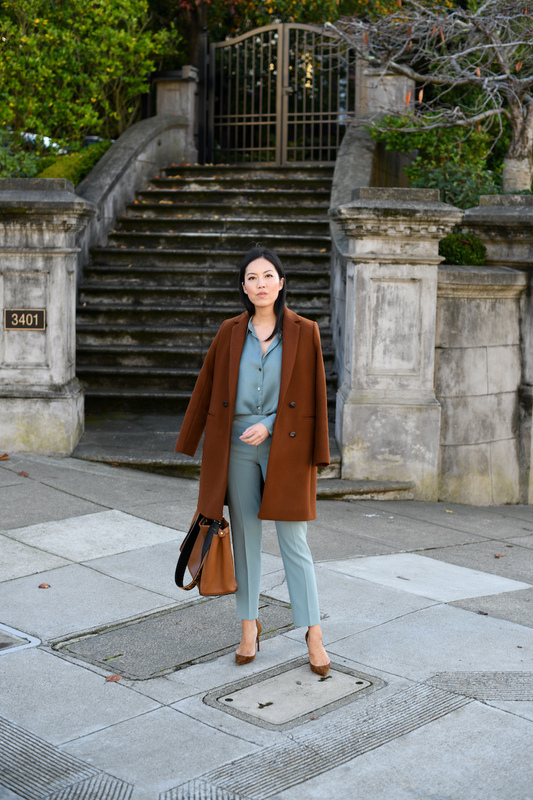 Sharing more chestnut brown pieces I’m coveting below. PS: The plaid trousers that I wore recently (and received so many messages/DMs about!) is now 50% off here! And I finally splurged on these loafers – new color just released! Unexpected but very chic colour combo! The brown and teal color combo is gorgeous! I adore ♥️the chestnut brown colour. So rich and warmth for the Winter look!